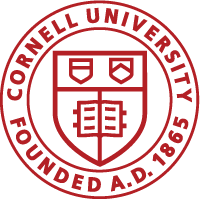 The Office of Faculty Development and Diversity offers workshops and training sessions for Cornell faculty members throughout the year. If you would like a presentation tailored to your department, please email ofdd@cornell.edu. This workshop addresses different scenarios that can arise during the interview process and their potential impacts on the candidate, department, and the institution. Issues discussed include procedures and policies, legal boundaries, and department and institutional climate. This workshop is offered to tenured faculty and is aimed at highlighting potential roadblocks to tenuring and promoting faculty underrepresented in their field by gender and race. The onus of responsibility for the quality of the academic environment with regard to race/gender issues. To arrange for this workshop, contact Tanya Grove at tl40@cornell.edu. Led by Jennifer Bol, senior member of Spencer Stuart, an executive search and recruitment firm, this workshop explored the skills, qualities and positions search firms look for when they interview for high level positions, such as dean/provost/president; how to develop an administrative profile; common missteps candidates make that eliminate them from a pool, and other suggestions. For more information, see notes from the workshop. The Center for Teaching Innovation offers programs for faculty, graduate students and other educators to promote a diverse and inclusive classroom. The Center also developed resources to assist faculty in responding to incidents that may impact learning and the teaching climate.